Although many people have grand ideas about starting their own FM radio station, the simple truth is that it really isn’t a very easy thing to do. There are only a very limited amount of FM radio frequencies available for any given area, which means that it can be very hard to start your own station. The Australian FM range spans 20.5 Mhz, from 87.5 Mhz to 108 Mhz. If radio stations were spaced 200 khz apart, we could theoretically have more than 100 stations within this band. However, things like interference, adjacent markets, and other problems pop up which make spectrum planning essential. The easiest way to obtain a new FM radio licence in Australia is by buying a Low Powered Open Narrowcast (LPON) FM Licence. These licences allow you to transmit on 87.6, 87.8, or 88 Mhz with a power output of up to 1 Watt in most areas. However, you may be allowed to transmit upwards of 10 Watts in rural areas. LPON licences also come with a range of physical separation constraints. If you want to transmit on the same frequency as someone else, you have to be at least 10 km from them. If your stations are separated by 200 khz (for example, 87.8Mhz and 88Mhz), you need to be at least 5 km apart. If two stations are 400 khz apart, they can transmit from the same place. Unfortunately, this also means that LPON licences only offer very limited coverage, especially if they’re running with 1 Watt power constraints. This means that they must have a specific function or niche. In many cases, LPON FM stations are used by foreign-language or religious groups. Find a frequency that’s available in the area you want to broadcast from. 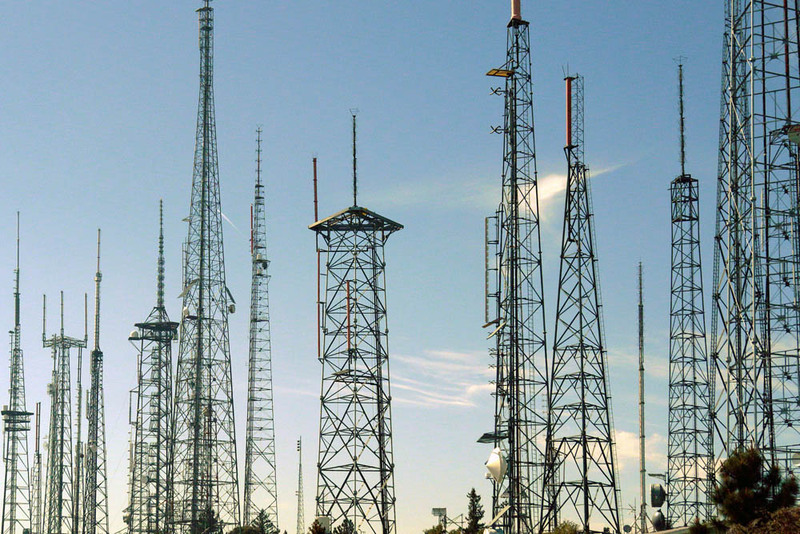 Obtain the necessary permissions to install an FM antenna and transmitter. Complete an application form and pay the $394 application fee. Participate in the station auction and if you’re successful, pay licencing fees. Install a transmitter and get yourself up and running. If you want to find out more, head to the LPON Applicant Info page. In special cases, it’s still possible to get a new community radio licence. In most cases, these are only available to incorporated associations who meet a very specific set of criteria. Neither individuals nor commercial bodies are eligible to hold community radio licences. Generally, a community FM radio station has to serve a specific purpose – for example, they might bring content to special interest groups or people of a certain age bracket. How well the current and future needs of the community will be met by the proposed service. What sort of interests and how diverse the community in question is. What other broadcasting services are available in the same geographic region. Whether the applicant has any connections to or the ability to control other community radio licences in the same area. If you want to find out more about these conditions, head to the ACMA community radio information page. The station must serve the ‘community of interest’ that it was licenced for. No more than 5 minutes of sponsorship messages can be played per hour, and these must clearly identify the business in question as a financial supporter of the station. At least 25% of the music played must be Australian. The station must have an open membership system. Programming decisions can’t be influenced by financial considerations. While community radio licences might seem like a good choice, keep in mind that they are extremely difficult to obtain at the current time. Although permanent five year community radio licences are the most desirable, the ACMA may give you a Temporary Community Broadcasting Licence (TCBL) to start with. This licence is valid for one year, and is designed to give you a ‘probation’ period during which you can prove your technical and organisational capabilities. At the time of writing (September 2018) there was 100 TCBL licences in Australia. Many of these were associated with indigenous communities in remote locations. There must be an available frequency in your area. You must satisfy all requirements for holding a Community Broadcasting licence. There must be space for another Community Radio Station in your area. If you manage to get a TCBL licence, run your station successfully, and stick to your original plan, you will be able to apply for a permanent community radio licence, as outlined above. Note that these are a lot harder to get than TCBL licences. If you’ve got a current FM Broadcast licence, your best option may be to apply to extend your coverage using an Analog Retransmission licence. Many stations use these licences to extend their services into ‘black spots’, into different geographic areas, or simply to reach a larger audience. Note that there’s no guarantee that you will be granted a Retransmission licence, even if there is spectrum available. If you’ve got money behind you and are looking for a new business venture, then you could consider purchasing an existing commercial radio station. It’s pretty much impossible to start a new commercial station, so this is the best way to gain access to a high-powered licence with fewer restrictions. Unfortunately, commercial radio stations are usually extremely expensive. Even the smallest regional or rural stations are worth millions, and the value of larger stations can run into the tens or even hundreds of millions. A good recent example is the sale of Sydney station 2CH for $5.56 million in 2016. Unfortunately, applying for a new commercial licence is pretty much impossible. Pretty much every available commercial frequency is already taken. Any proposed new frequencies have to be included in a formal Licence Area Plan issued by the ACMA. If a licence happens to be free, it will be taken to auction to find a buyer. The last time this happened, in 2004, the licence for 95.3 FM in Sydney sold for a huge $106 million. If you already have a Broadcast Service Band licence, you may find that you’re eligible for Australia’s newest type of free-to-air broadcast licence – DAB+. Currently, DAB+ licences are only available in the capital cities. In each city, the audio bitrate is divided between community (2/9ths) and commercial (7/9ths) licence holders. In different cities analog licencees are allocated different bitrates. For example, in Sydney all commercial licencees have been allocated 128 kbps. Like digital TV, this can be further split to provide numerous different audio services from the same location. It is possible to lease DAB+ bandwidth from existing commercial licencees, but this depends on whether or not the commercial station is willing to lease out some of their bitrate. Note that even LPON’s, translators, and sub-metro stations aren’t able to get DAB+ bitrate at the present time. If you’ve exhausted all your other options, but remain set on building your own radio station, then you should look into internet radio. It is easy, cheap, and accessible to people throughout the world. A budget of a couple of hundred dollars is more than enough to get an internet radio station up and running using any one of the various online radio services. Do some research to figure out the best internet radio options for your needs if you’re thinking about going down this path.